Halloween lasted quite a while for us… well, for Patrick. We went trick or treating at several places and celebrated a few different ways. Patrick’s costume was Lightning McQueen from Cars, of course. 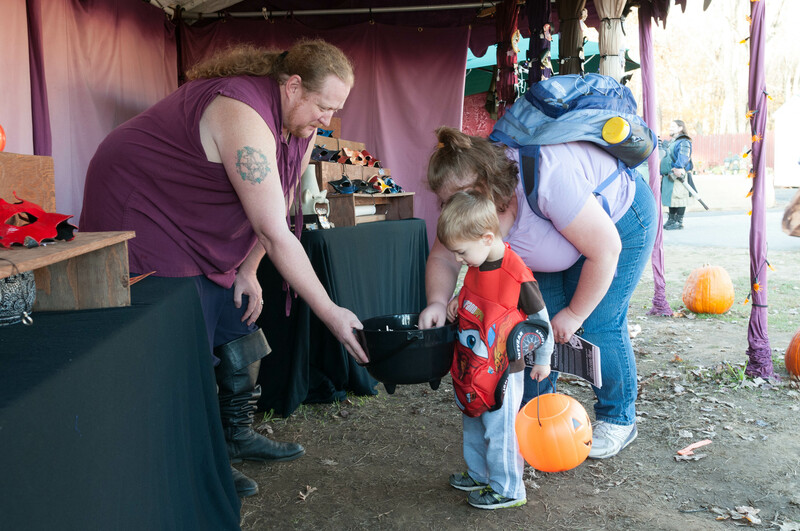 At the Connecticut Renaissance Faire we visited for Halloween Knights where Patrick got a taste of things. We had to bribe him to get him into his costume, and he wouldn’t say “trick or treat,” but he would press a little button on his costume that made McQueen talk. It didn’t take long for him to decide he wanted to collect as much candy as he could. In the photo below you can see him trick or treating at a vendor. We also visited the Connecticut Science Center. We go there regularly, and on Saturday they had some special halloween activities, including trick or treating. Patrick was happy to wear his costume and knew exactly how everything worked. On the way out, we decorated a pumpkin with stickers (seen in the photo above, left). He picked which stickers to use and where to put them. I’m not sure if that green eyebrow is simply misplaced or if he was adding a booger. On Sunday we went to the Coventry Regional Farmer’s Market, which we visit regularly (though not as much this year). We didn’t know they had trick or treating so Patrick didn’t have his costume, but they were happy to let him participate anyway. 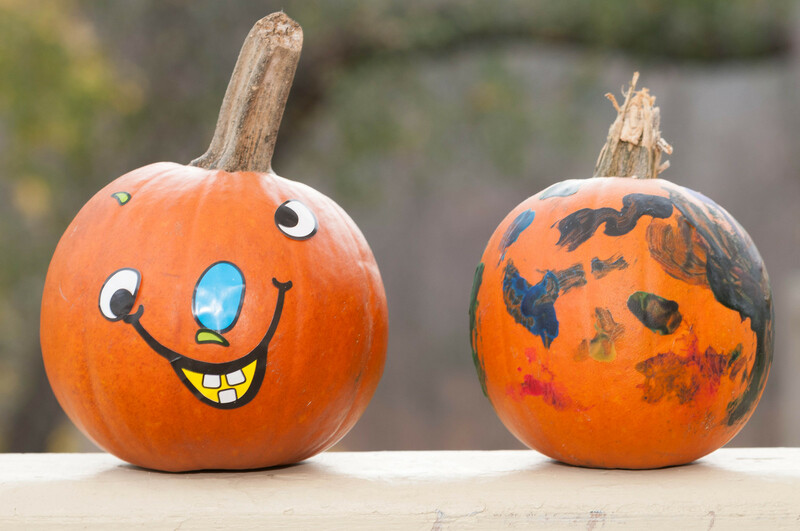 Again, at the end, we went over and painted a pumpkin to bring home (seen in the photo above, right). And finally, yesterday afternoon, we went to the Buckland Hills mall for their trick or treating event. Patrick knew what to do, of course, and was saying “trick or treat” and “thank you” to everybody he saw.